Florida Beer Company has a new beer on the market. 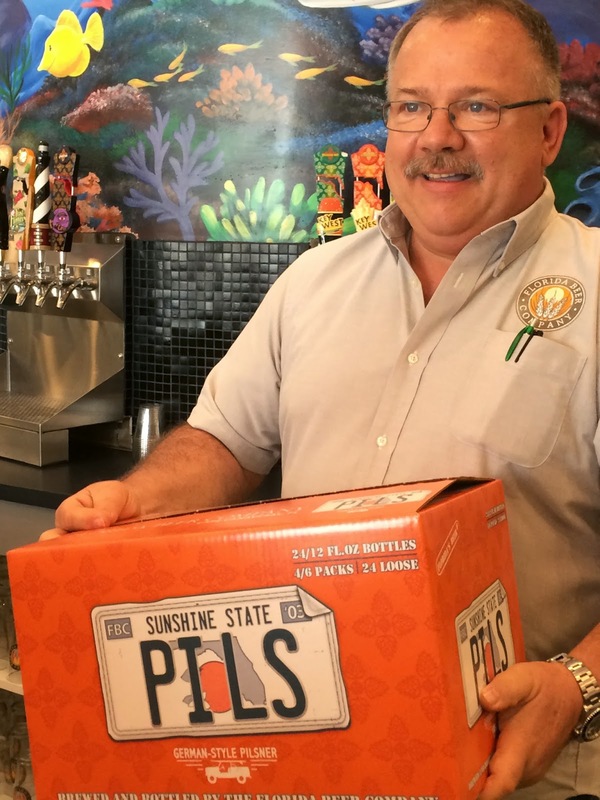 I first tasted Sunshine State Pils while visiting the Cape Canaveral brewery six weeks ago, but I finally noticed it on my local South Florida shelves this week. You'll probably recall that I already said it was one of my favorites during that visit. However, I wanted to do a full review here. 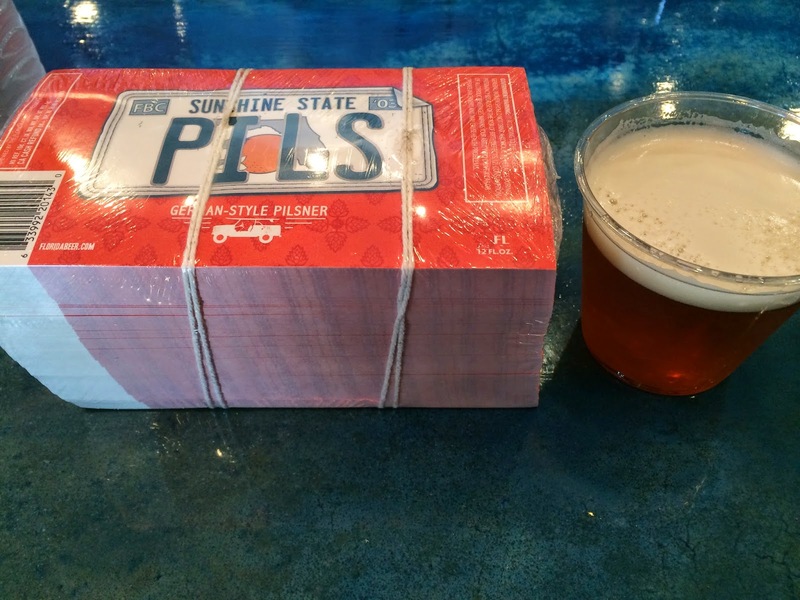 The label uses the Florida license plate motif to deliver the "Sunshine State" portion of the name while "PILS" comes from the vanity section of the plate. The orange background for the label and the matching stunning orange boxes this beer are delivered in are definitely eye-catching! Malty cracker aroma, very clean, quite nice. Great flavors. Grassy with some sourdough bread and perfect amount of bitterness. Light fruitiness, orange rind come next. And I love the hoppy spicy flavors that persist. Nice carbonation. Dry finish. Well crafted and very flavorful beer, way beyond just terrific refreshment. Grab a case!